This is more an idea than a recipe and I feel almost like I'm cheating by sharing this but this idea for goat's cheese tastes as good it looks. 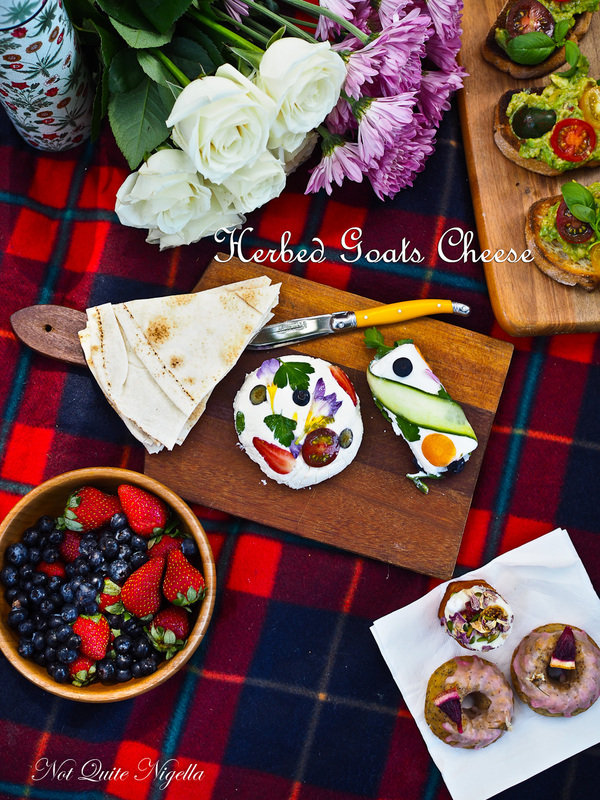 If you're looking for a creative way to serve cheese then try this floral herbed goat's cheese. 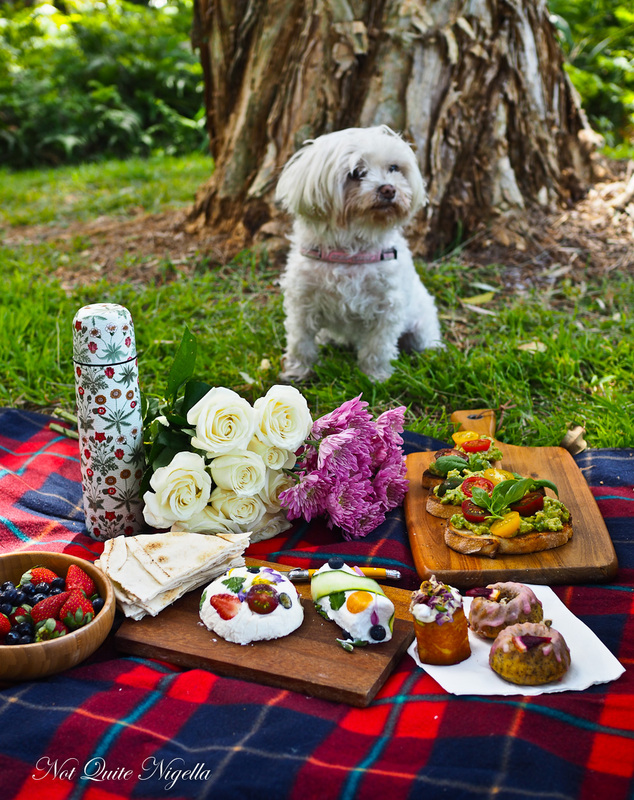 It's perfect for picnics or on cheese boards! One thing that I've always hated even from when I was a kid is when people accuse me of cheating or lying because while I like to break rules (often) I never cheat. The only time I lie is to spare other people's feelings and even then it won't be an outright lie, more an evasion as I try to phrase things as diplomatically as possible. So tell me Dear Reader, do you have a quick food cheat that you love? And where do you sit on cheating? Is it ok or not? Step 1 - Lay a sheet of cling film on a surface and line with cucumber ribbons, herbs and berries. Lay the cheese on top of this and wrap tightly and refrigerate until needed. Step 2 - You can also do this with cream cheese and line a bowl with it so that it comes out in a dome shape. recipeThe Ingenious Inside Out Toasted Cheese Sandwich! recipeFood Hack: How To Make Garrett Popcorn's Chicago Mix That Tastes Like The Real Thing! recipe The Ingenious Inside Out Toasted Cheese Sandwich! recipe Food Hack: How To Make Garrett Popcorn's Chicago Mix That Tastes Like The Real Thing!